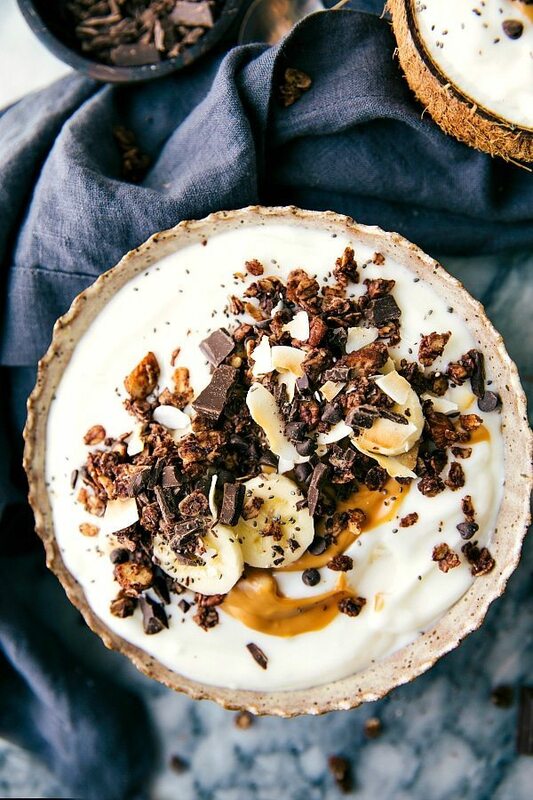 Creamy coconut whipped yogurt topped with almond (or peanut) butter, homemade chocolate granola, and chia seeds. A delicious and simple breakfast that is filling and healthy! Look at me being so “food trendy” and up-to-date with the rest of the internet world! ? First of all, I got a spiralizer (finallllly…recipes coming soon! ), and now I’m sharing a loaded “breakfast in a bowl” recipe (that isn’t cereal!). Granted, it’s not quite the ultra-trendy smoothie bowl…but close enough right? This loaded breakfast bowl happens to be what I’ve been eating for breakfast for several weeks now. It’s about time I let you in on this goodness! 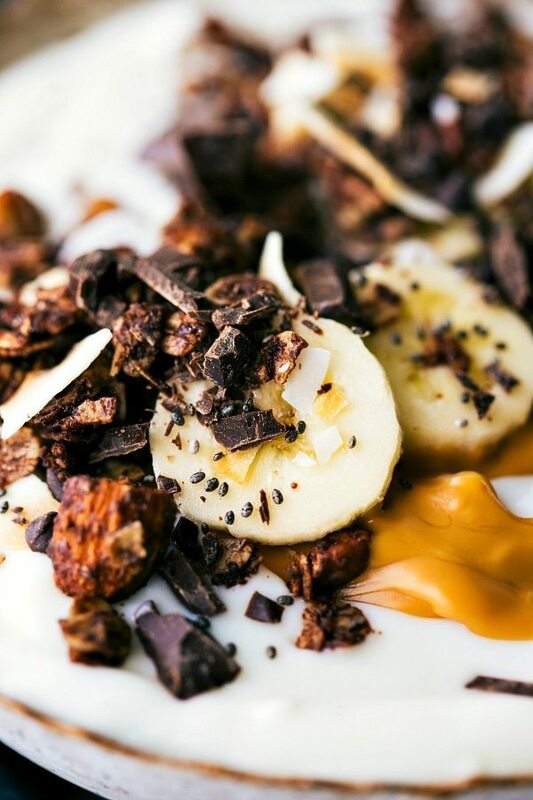 And, bonus, it’s totally simple — coconut yogurt loaded up with toppings and some nut butter. 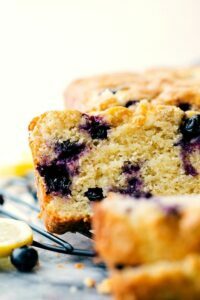 Swirl it together and stir it up and this may just be your new favorite breakfast! Loading up yogurt with granola and some kind of fruit has always been one of my go-to breakfasts. It’s quick, delicious, filling, and pretty healthy. And while I’ve had a lot of yogurt-fruit-granola combos that I’ve loved over the years (THIS granola with vanilla yogurt with frozen raspberries….do it! ? ), this combination may be taking first place. 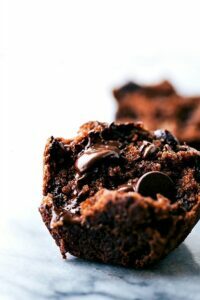 I mean, I’m consuming chocolate for breakfast, so really, I’m not too surprised it’s making top of the list right now. ? 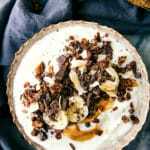 Creamy whipped coconut yogurt with a swirl of almond butter, DOUBLE CHOCOLATE granola, and a sliced banana? Woah. Like who knew breakfast could taste so much like dessert?! So the yogurt I keep talking about is Yoplait’s whipped coconut cream yogurt. It is absolutely one of the most tasty yogurts I’ve ever had and one of my favorites. Aaand it goes perfectly with some double-chocolate toasted coconut granola. For long time readers you already know how much I love using Yoplait’s yogurts to jazz up a breakfast because of their ability to make breakfast taste like dessert. Using Yoplait’s yogurts have been my long-time favorites for imitating some type of dessert and calling it breakfast…you remember this Key Lime Pie Smoothie?! Or an orange creamsicle breakfast smoothie anyone? The coconut yogurt is no different. It’s ultra creamy and rich making your breakfast taste like dessert. Probably my favorite thing about the yogurt is how filling it is (while not loading up on the calories) which is super helpful to stay on track with healthy eats. Which, by the way, New Year’s Resolutions still going strong for healthier living? Guys; I’m still running! Which I think makes this the longest New Year’s Resolution I’ve ever kept. ?? And yes, I totally just emoji clapped for myself… ? 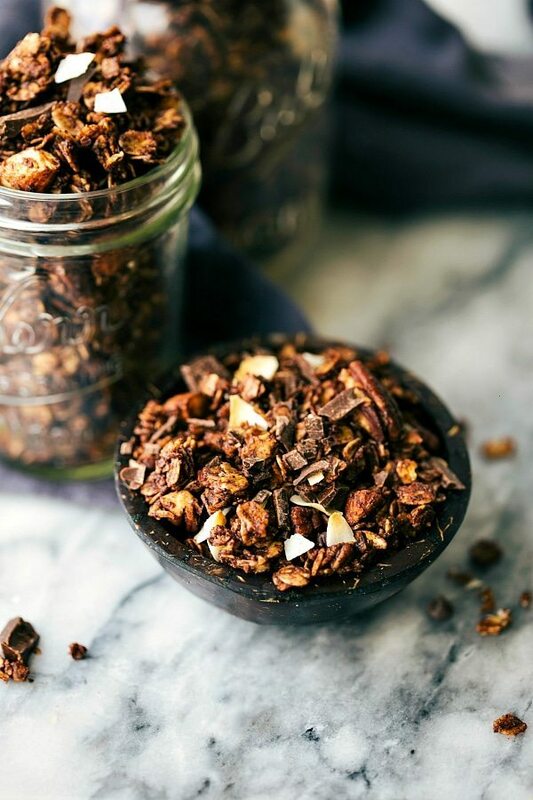 So pair that coconut yogurt with this double-chocolate granola and add whatever else you like. 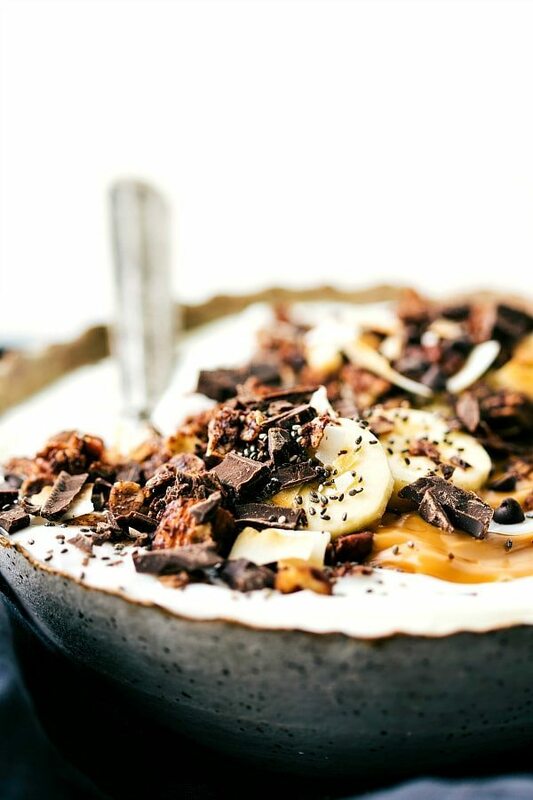 Your favorite fruit — fresh or frozen, a swirl of nut butter (I love almond butter with anything coconut flavored), some chia seeds, extra toasted coconut, a handful of nuts, you name it! Optional toppings: swirl of nut butter, some fruit, chia seeds, etc. Coarsely chop the almonds and pecans. Combine the oats, almonds, pecans, and salt in a bowl. Toss to combine. 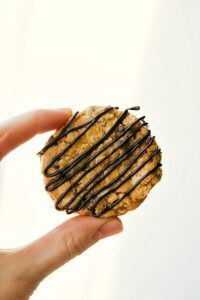 In a medium-sized bowl, combine the coconut oil (measure exactly when it's melted and not in the hardened state), and 1/2 cup chocolate chips. Microwave in bursts of 15 seconds stirring in between each burst for 15 seconds until completely melted. Stir in the brown sugar (measured lightly packed), honey or maple syrup, and vanilla extract. Pour the chocolate wet mixture into the oat and nut mixture and stir until well combined. Remove and allow the granola to harden and set up. (It may be soft and not very "granola-like", but it hardens as it dries out so be careful to not over-cook it). Mine generally takes about 21 minutes to be fully baked. Allow the granola to sit at room temperature for a few hours to harden and set up. Once the granola is hardened, stir in the remaining 1/2 cup chocolate chips and the toasted flaked coconut. 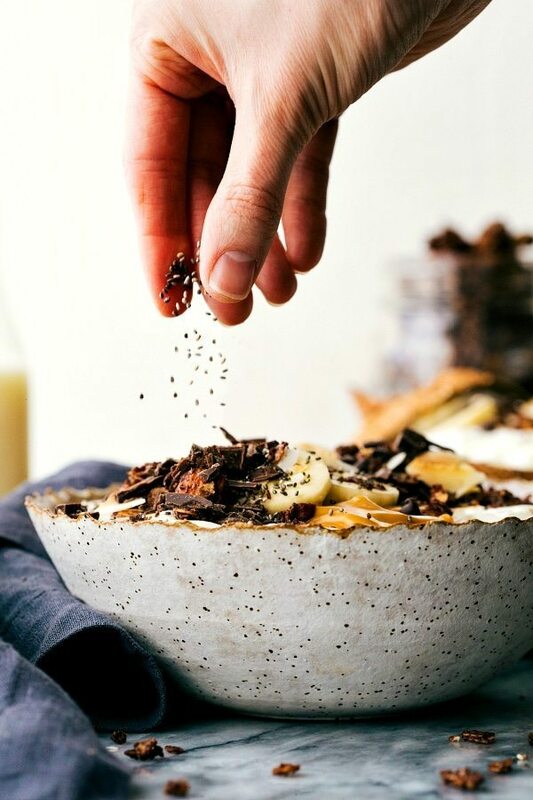 To make a yogurt bowl: fill a bowl with the coconut cream yogurt, add a swirl of nut butter, add some fruit such as a banana, add the granola, and finish with chia seeds. Enjoy immediately. That looks good! I love the idea of making your own granola so you can have all the things you like it in! This is gorgeous!! Also, chocolate granola?? I am SO in! Oh my gosh, I need to try this for breakfast! P.S. I thought I was the cat’s pajamas when I finally bought a spiralizer, I went a little crazy and start spiraling oodles and oodles of zoodles! Haha sounds like exactly what I did! haha!! 🙂 Thank you Brynn! Your pictures make everything look so delicious. I made this with some greek yogurt and shredded unsweetened coconut, num, num! How much does it yield? Is it just for one serving of yogurt and granola? How should I increase the ingredients proportionally if I wanted to make a larger batch of granola?